Everybody knows the Internet of Things (IoT) suffers from a troubling security epidemic – but what would happen if IoT manufacturers were to put warning labels on their products the same way tobacco brands have to put them on cigarette packets? It is a common practice in many places around the globe to slap warning messages on cigarette packets in order to caution potential buyers against the detrimental effects tobacco has on their health. 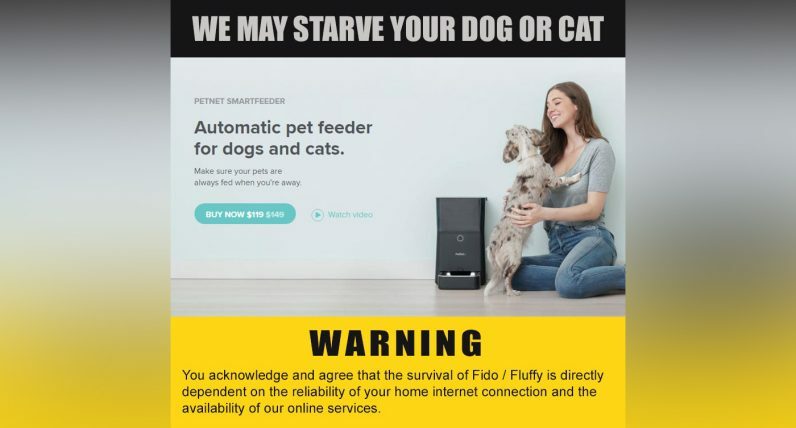 But seeing how security breaches could be equally damaging – albeit in a different manner – web security pundit Troy Hunt has raised an unusual, but very intriguing conundrum: what would happen if careless IoT companies were to put cautionary labels on the boxes of their products? Hunt actually went the extra mile and did just that; and, well, the outcome is actually pretty hilarious. The hidden dangers of crappy IoT devices have been steadily coming to the surface over the past few years. Over the last twelve months alone, there have numerous been reports about cute toys spying on children, unassuming internet-connected cameras for pets whispering to their owners, and camera-equipped vibrators that are worryingly easy to hack. So next time you’re mulling on buying this cool smart rice cooker that connects to your phone, imagine there was a warning label on the box. That should knock some sense into you.